We’ve already established that I don’t have a crafty bone in my body but that doesn’t stop me from trying something new. The optimist in me must think that I’m finally going to discover some sort of hidden talent. I blame the Old Town Boutique District for feeding my optimism. Each month they send out a calendar of events and classes for their member boutiques and there always seems to be something intriguing on it! So last Saturday I participated in a Letterpress Greeting Card Printing Class at Old City Press & Co. in Old Town Alexandria. I walked into the shop just a few minutes before 12 and was shown to the area where the workshop would take place. Because there are only three printing presses set aside for this work and the area is small, participation is limited to 3 students. Before long, the other women who were taking the class joined me. We were told to first pick out the designs for our cards from a stack of polymer plates and then select 3 colors. Of course, i thought we got to select 3 colors apiece so I boldly spoke up with my three picks – a red for my Christmas cards, and a blue and a bright pink for my thank you cards. One of the instructors kindly told me it was 3 colors to be used for the class…not for each of us! Ooops! My choice to keep was the red although we did pick a blue and a pink/purple. 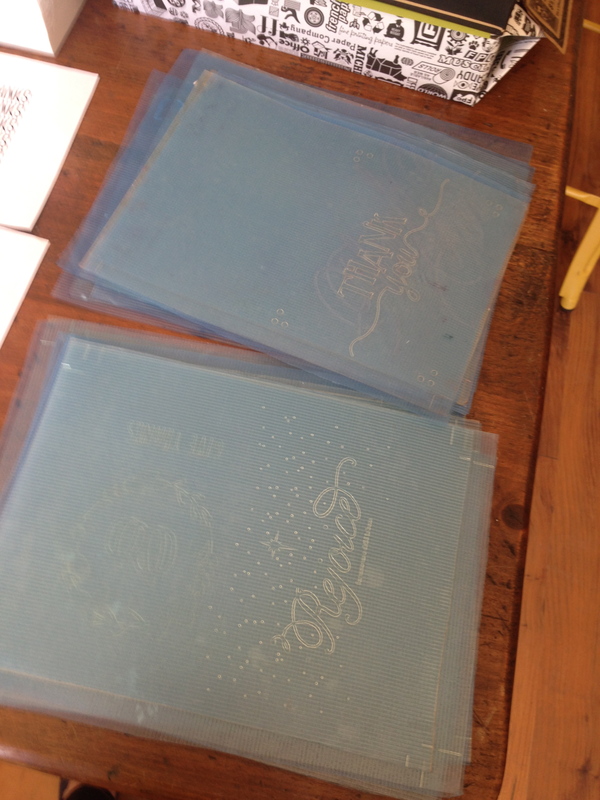 Polymer plates – these are expensive to make. 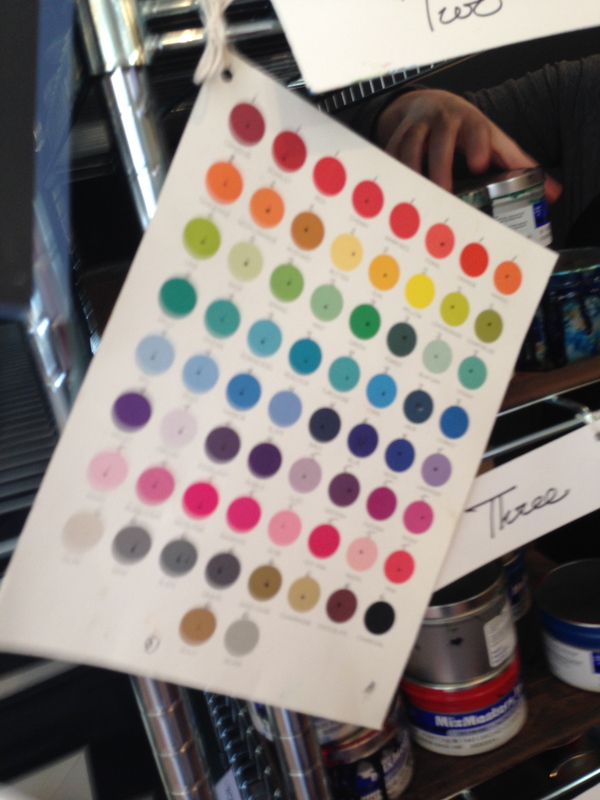 We put on aprons and the instructors opened the pots of ink. 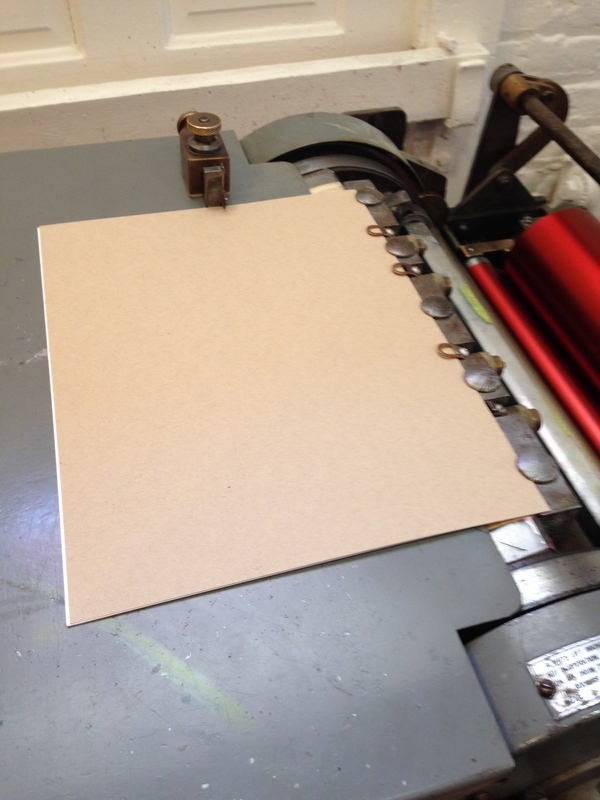 One pot of ink can print up to 10,000 cards so not much is needed for the 30 cards we would each be printing! 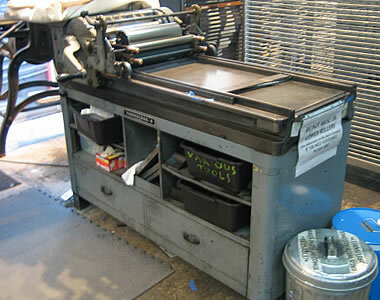 The instructor demonstrated how to place the ink on the rollers and how the vintage 1950s/1960s Vandercook Printing Presses should be loaded and operated. 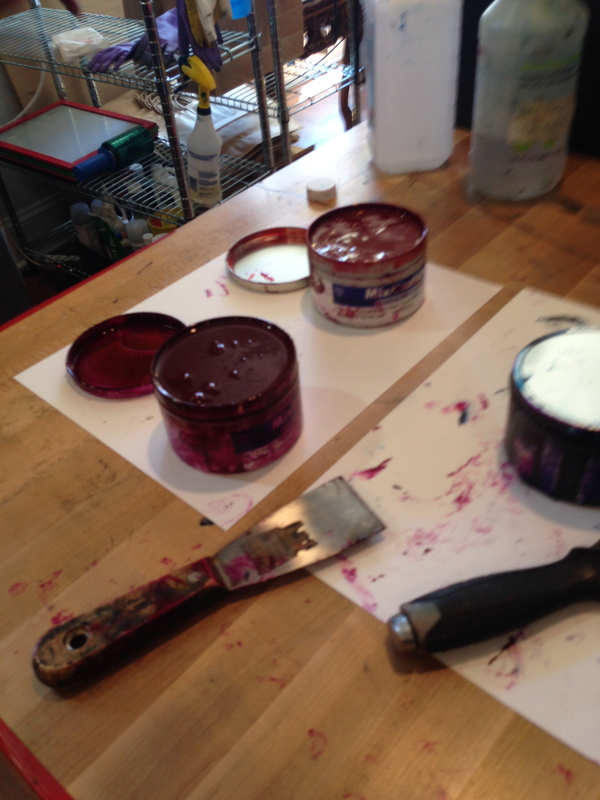 Open Pots of Ink – It was hard to get them open! This little bit of ink was all that was needed! 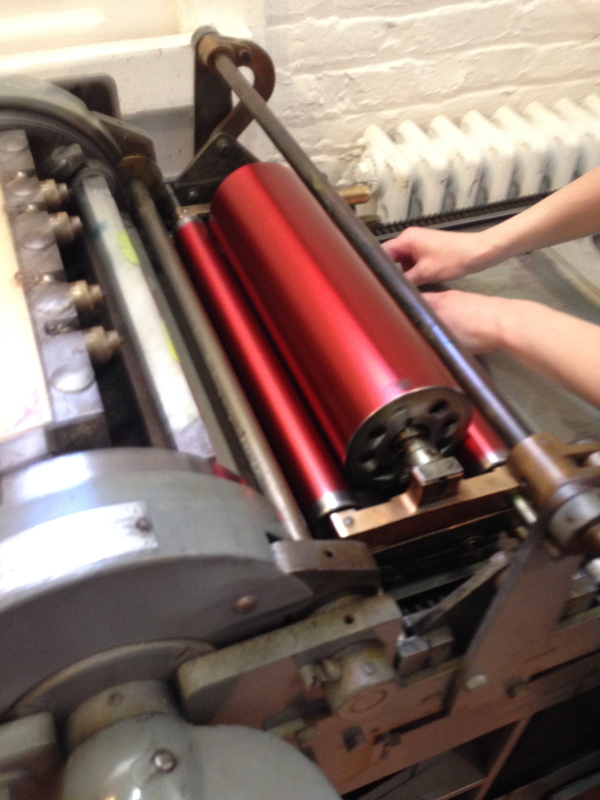 Ink on the rollers of the press. Unfortunately, one of the presses made a horrible noise as she was preparing it for us so we were down to two presses between the three of us. 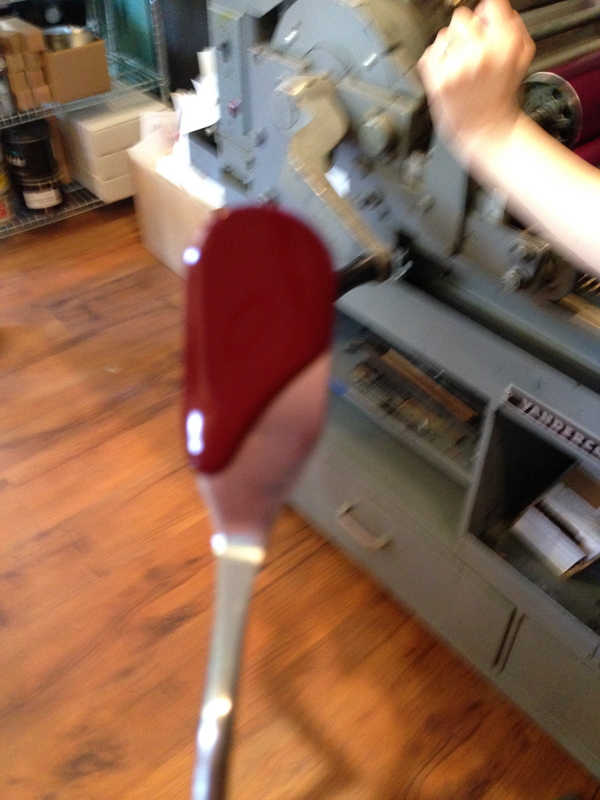 This meant that we had to finish with one color completely so that they could clean that machine and apply the third color. The instructors had prepared 100 lb French Paper is a beautiful white and a craft paper shade. In order to get the optimal press and color, we inserted a second piece of the same paper under the main sheet for each card we made. 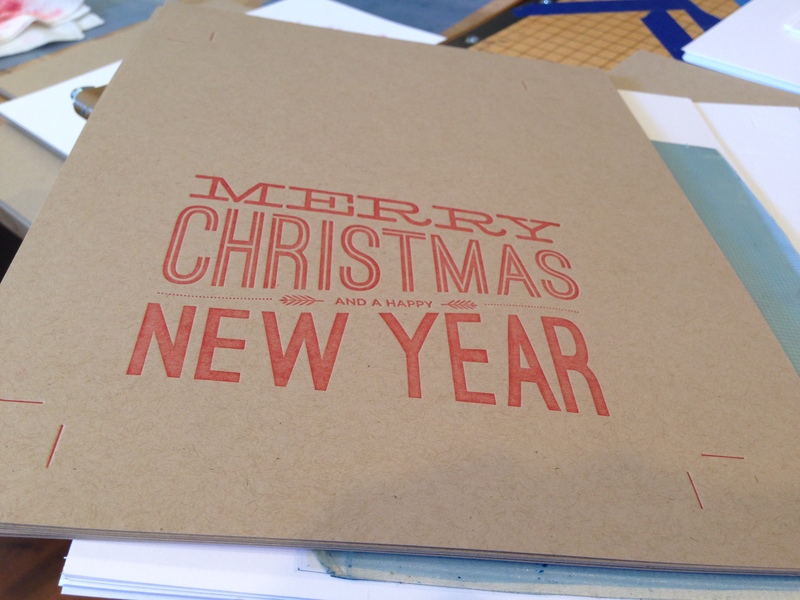 Since we could make a total of 30 cards, I choose 20 sheets of the craft paper shade and 10 sheets of white. Remembering how much I had liked the craft paper wrapping I did at Christmastime with the red ribbon, I printed my Christmas cards with red ink on the craft paper. Others in the class did this too! Paper loaded in the printing press. My Christmas card – so fancy! 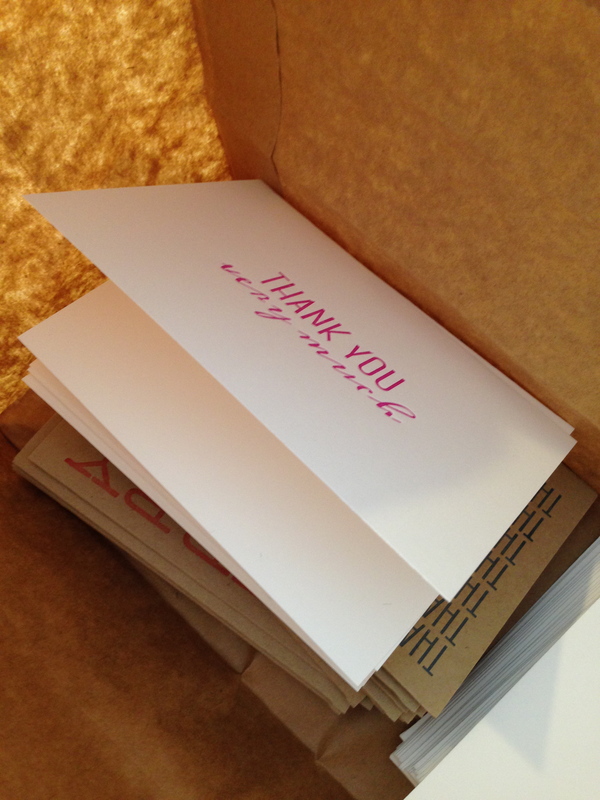 Since I am always in need of Thank You notes, I printed 10 on craft paper (in blue) and 10 on the white paper (in pink/purple). Also unfortunate was the fact that the paper cutting machine was broken. One of the instructors spent the majority of her time cutting down our freshly printed cards. We also got the opportunity to score (which is create the crease for a perfect fold) each card. We received envelopes to go with our cards and were on our way! The class was set for 3 hours and would have taken less time had all of the machines been working. The shop was busy with people browsing and a couple working on wedding invitations. 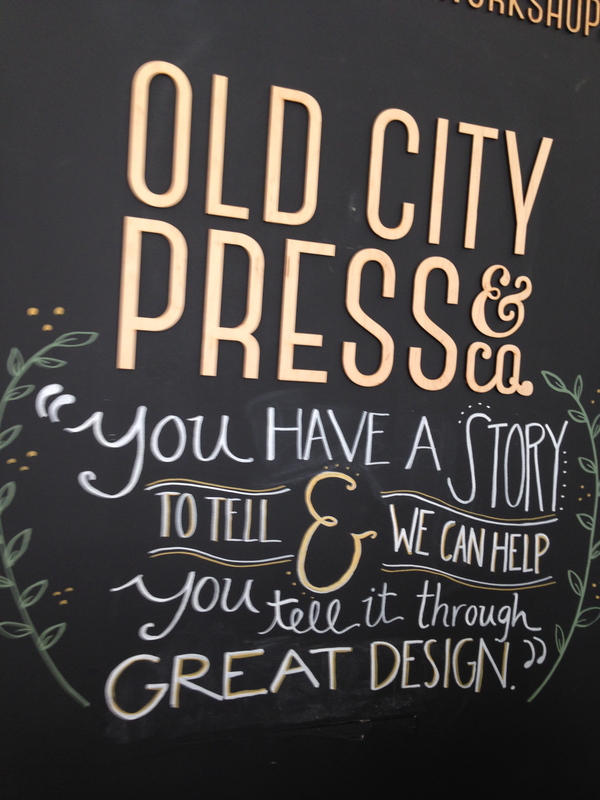 In addition to letterpress printing, they also do website design. They are planning to offer a poster printing class in the near future and were expecting a printing machine designed for this purpose. There is just something really satisfying about making something yourself. I really liked the experience of loading the machine and turning the handle to print my own cards. 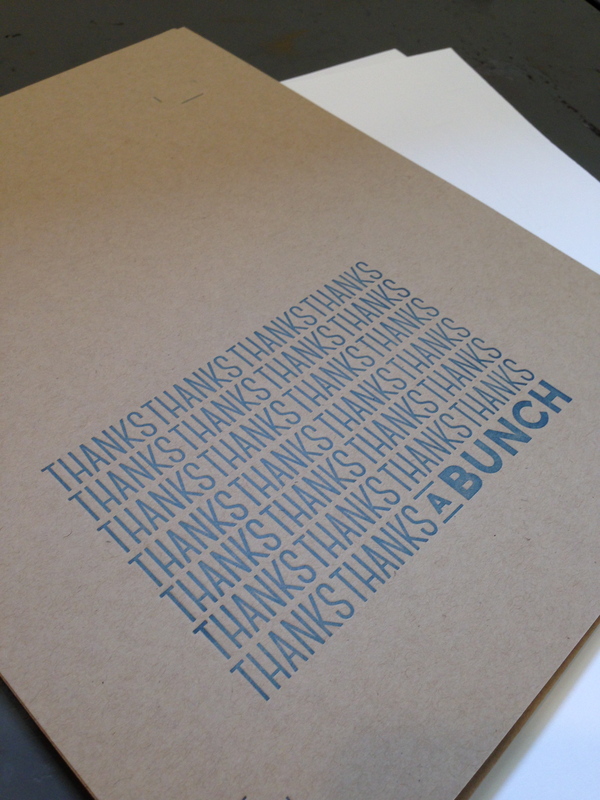 I may not have a future in letterpress printing but I had a great time!